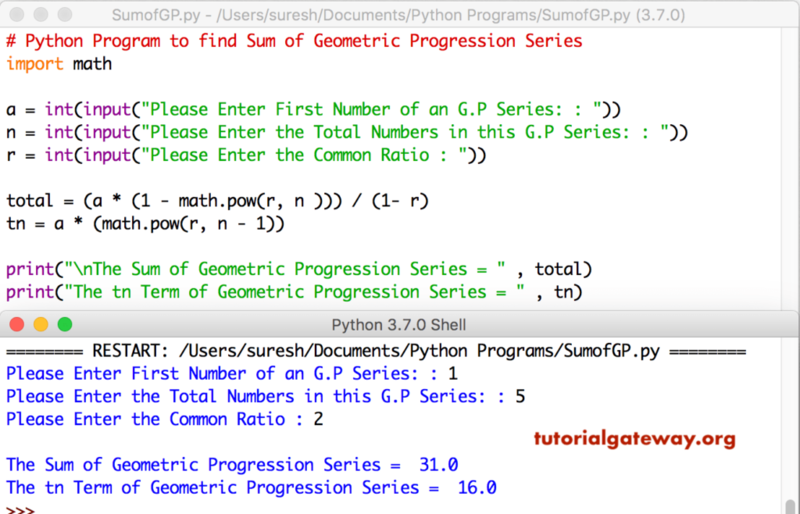 In this article, we will show you, How to Write a Python Program to find Sum of Geometric Progression Series(G.P. Series) with practical example. G.P. Series is a series of numbers in which common ratio of any consecutive numbers (items) is always a same. This Python program allows the user to enter first value, total number of items in a series, and the common ration. Next, it will find the sum of Geometric Progression Series.